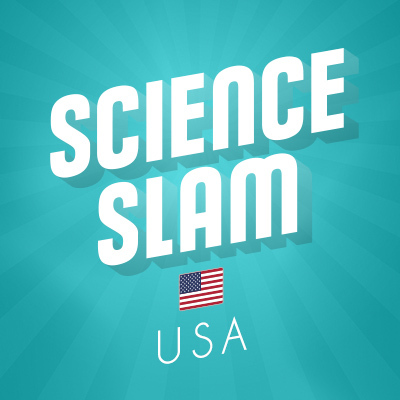 On behalf of the Goethe-Institute and The Year of German-American Friendship, policult is organizing a series of entertaining „science communication“ events called „science slam“. The Shows will be presented during the road show of the Year of German-American Friendship in Chicago, Atlanta and Portland. A Science Slam is a presentation competition for young scientists from all fields – in 10 minutes the slammers present their research to a live audience. But: we are no conference, and we are no lecture either. A Slam is entertaining, exciting and understandable for a broad audience. It is a chance to let personality shine in a 10-minute performance. Slammers deliver an exciting and approachable version of otherwise complex research. And they compete for the hearts and minds of the audience, whose applause determines the winner! We are looking for twelve young scientists for three Science Slams in Chicago, Atlanta and Portland. Two each from Germany and the United States (preferably from the city the show is presented in). Applicants selected to participate in the slams will be provided with all traveling costs in or to the United States. The application is open to young scientists from Germany and the United States in all fileds of science and the humanities. Applicants must have German or U.S. citizenship. German applicants are responsible for making their own visa or ESTA arrangements. the city you currently live in, your experience in science communication or other talents (comedy, impro, music etc.). It is not necessary to have „creative experience“, but of course it helps!